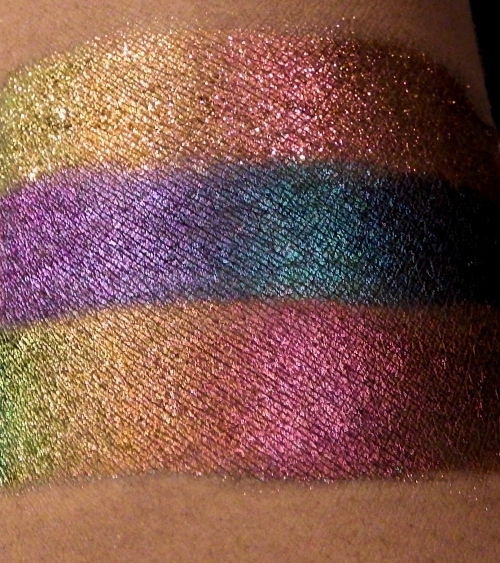 * Photos do not capture the true range of colors and depth properly; this will look prettier on application in person. * Sparkling bright pink turns copper then gold then chartreuse then Kelly green. Sparkling metallic finish. 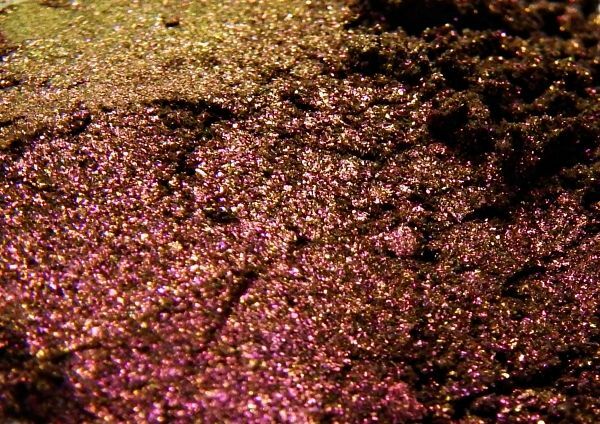 This shade is the top swatch. Similar to Symphonic but sparkly and green phase is not as deep. Not lip-safe. Swatches show the shade variations best; it isn't quite as apparent in the product itself. These are our most striking shadows! Product photos were taken under indoor daylight bulbs, the first swatch picture was taken under cool halogen lighting, and the last two sets of swatch pictures were taken under regular incandescent lights. Swatches were applied over regular primer. Natural light will usually wash out the effect and colors; indoor lighting is recommended for swatches and application photos. Initial color, in this case pink, is when the product is viewed straight on, and not in close proximity to bright light. As it is angled, or on the curve of eyelids, the colors dramatically change. Due to the specialized ingredient content, these will not perform well over bare skin. 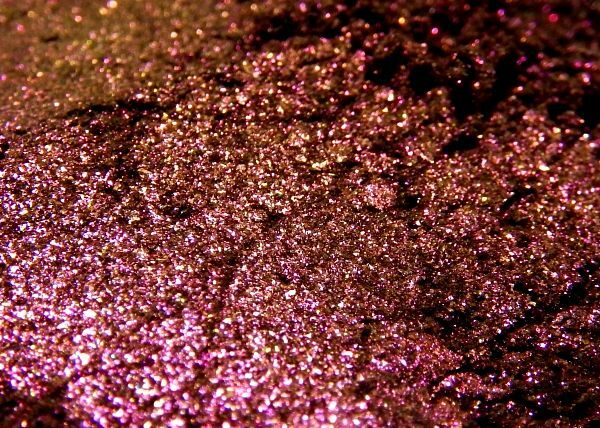 For sparkling shadows, a sticky base is recommended to prevent sparkle migration.